Former Mayor of Athlone Paul Hogan is Sinn Féin's general election candidate in Longford-Westmeath. In 2004, Hogan was elected to Athlone Town Council at the age of just 21, serving as Mayor and Deputy Mayor during his time on the council. In 2007, he contested the general election on behalf of Sinn Fein in Longford-Westmeath. On that occasion, he won less than 4 per cent of first-preference votes and was eliminated on the second count. 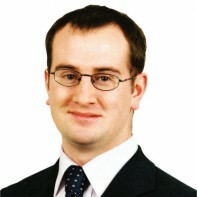 Hogan is the current chairperson of Longford/Westmeath Sinn Féin.